Is a communist party without Marx possible? The Japanese Communist Party was founded in 1992 by eight socialists including Toshihiko Sakai and Hitoshi Yamakawa as a Japanese branch of the Communist International, which was organized by the Soviet Union at that time. After that, as the organization disappeared due to intense repression from the government, roundup of the members, etc. and went through a period of armed struggle, the Communist Party switched to a populistic way along with changes of the times, and the name of Karl Marx disappeared from the party’s principle as well as his portrait, which was once posted within their office. In this project, Niwa proposes to put up Karl Marx to the Japanese Communist Party’s Central Committee at Yoyogi, Tokyo. According to some legislator, a photograph of Karl Marx being put up at a Japanese Communist Party convention right after World War II was seen. 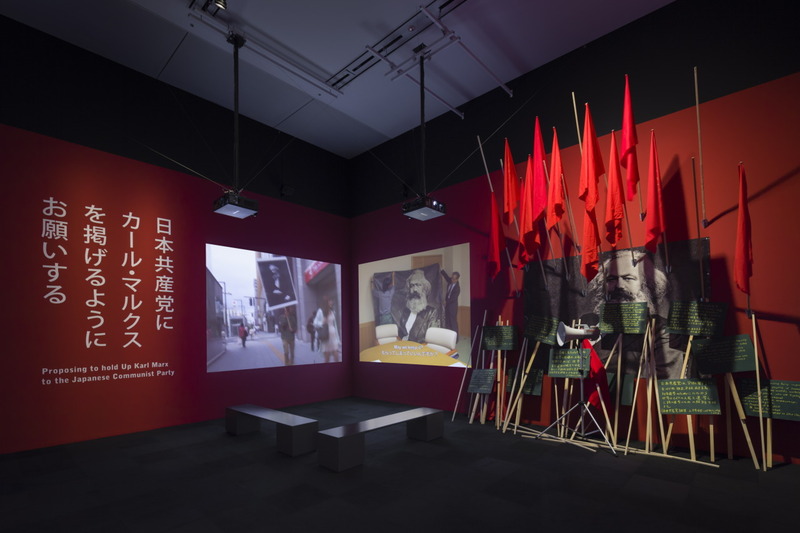 From this verbal evidence, Niwa questions the Japanese Communist Party if it is possible to put up Marx once again, although they have followed their own policy now instead of Marxism-Leninism. 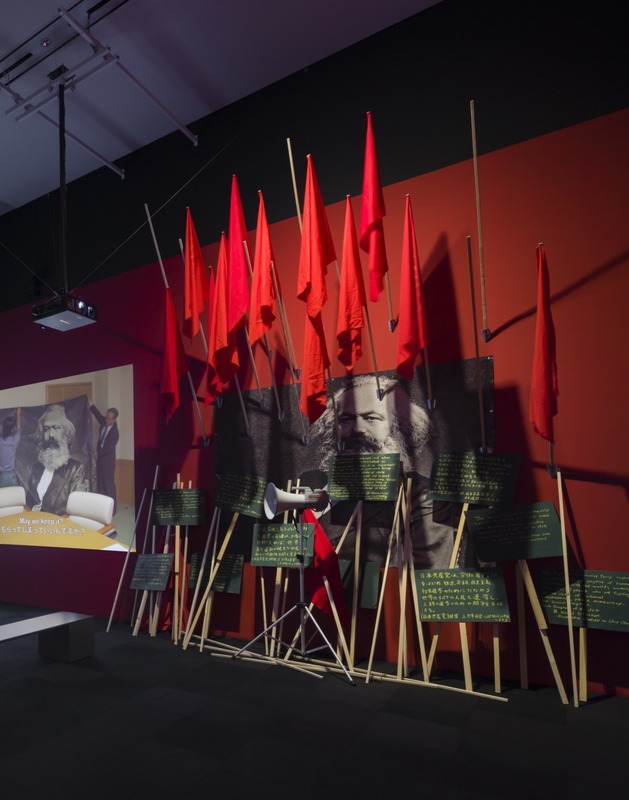 By asking the Communist Party to put up Marx’s portrait and throwing a hint of a personality cult which is behind the times, the artist verifies the disparity between the name “Communist Party”, a sign showing their history since formation, and the actual status of the party where they take forward their own policy.